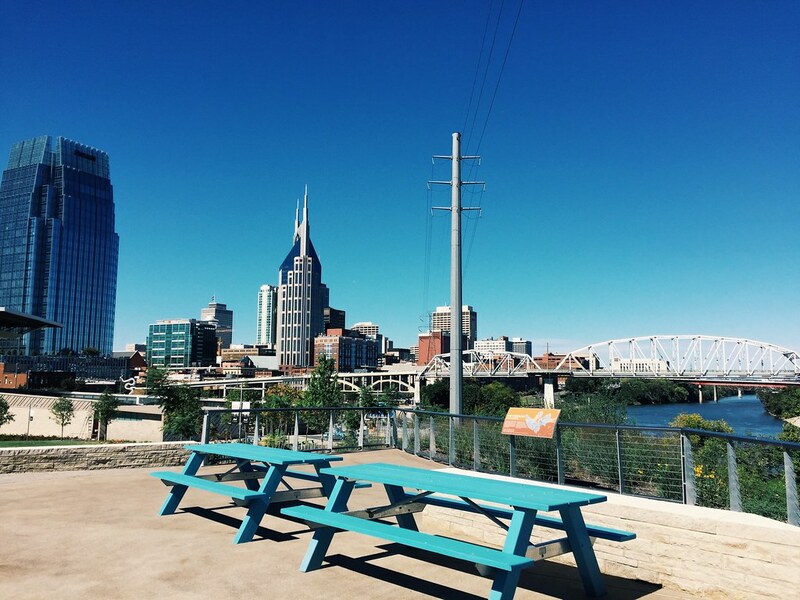 Thankful Thursday, #8 | Priya the Blog | life & style in Nashville & beyond! 43. This new spot ^ that I can walk to from my office. Complete with porch swings! 44. My favorite sweater. It's baaaaack. 45. Mad Men. I started watching it last week and already LOVE it. The characters, the fashion, the 60's, swoon! 46. Donuts. This hasn't made it on a ThTh yet!? Worked an event for Donut Den last night, eating leftovers this morning. 47. Work friends. I have some great ones that make the office fun! We're having a ping-pong tournament today! I'm up to nearly 50 things to be thankful for since I started this gratitude project. Reading back over my list makes it worth it, alone! Check out the whole series here! What are you feeling thankful for today? I didn't realize you lived in Nashville. I swear, all the awesome bloggers live in Nashville. What a beautiful spot! I'm totally with you on #46 and #47. I recently had a pumpkin donut - yumO!